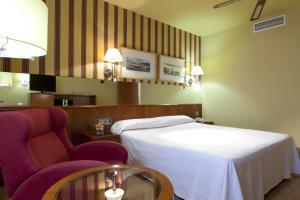 The Senator Barcelona Spa Hotel is 500 metres from Barcelona FC’s Nou Camp Stadium. The rooftop pool has views of the city and is open in summer. Free Wi-Fi is available. 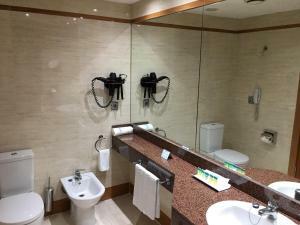 The hotel's spa offers a range of facilities including Turkish baths, hot tubs, Roman and Indian baths, ice caves and sauna, all available for an extra charge. Different types of massages and beauty treatments are available as well. The Senator Barcelona offers 2 bottles of complementary water. There is soundproofing and a free safe. Collblanc Metro Station is within 700 metres. 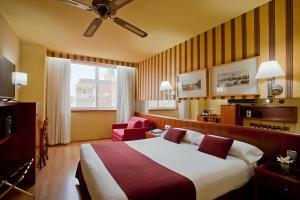 This offers direct access to the Airport (20min), Europa/Fira, Sagrada Familia and the main train station of Sants. The city centre is 15 minutes away. The spa is open from Tuesday to Sunday from 10:00 to 13:30 and 17:00 to 20:30. It is closed on Mondays. The gym is open every day from 07:00 until 23:00. Please check with the property in cases of public holidays. Use of a bathing suit, flip-flops, and towel is obligatory. 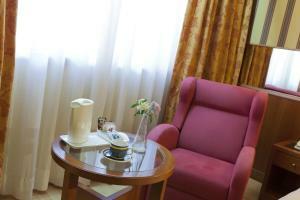 It is not possible to use the room towels, guests can rent towels. Children aged 4 to 15 years old can only use the spa from 10:00 to 12:00, accompanied by an adult at all times. Children under the age of 4 years old cannot access the spa centre. Please note that the outdoor pool is only open during the summer months and is free of charge. The interior pool is accessible at an extra cost. Please note that the restaurant service may vary according to the day. Please contact hotel for more details. For non-refundable reservations, you must confirm your credit card details via a secure link. 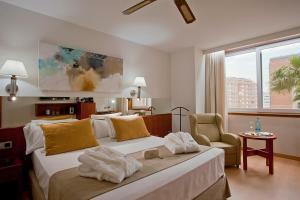 Senator Barcelona Spa Hotel will send you the link by email after you have made a reservation. Please note that guests with reduced mobility may have difficulty accessing the rooftop swimming pool. This bright, soundproof room offers a 43-inch plasma TV with digital, cable and 3 international channels, a CD player and a free safe. There is a coffee machine and a free bottle of water. 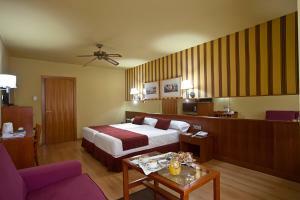 This room has 1 large double bed and 1 sofa bed. Maximum occupancy is of 2 adults and 1 child under the age of 12. 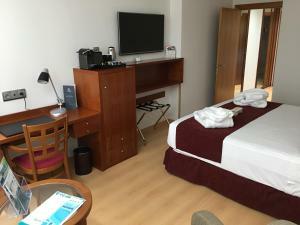 This bright, soundproofed room offers a 43-inch plasma TV with digital, cable and 3 international channels, a CD player and a free safe. There is a coffee machine and a minibar including a free bottle of water. This room has 2 single beds. This bright, spacious room has a seating area with a sofa bed. 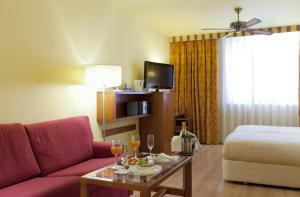 It offers a 43-inch plasma TV with digital, cable and 3 international channels, a CD player and a free safe. There is a coffee machine and a free bottle of water. 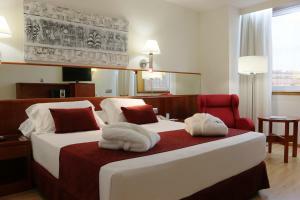 This room has 2 single beds and 1 large sofa bed. Please note that the price is based on 2 guests. 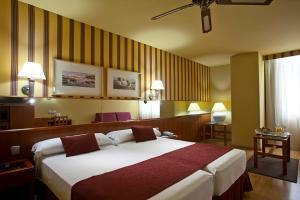 Maximum occupancy is 2 adults and 2 children, or 3 adults (see Hotel Policies). This bright, soundproof room offers a 43-inch plasma TV with digital, cable and 3 international channels, a CD player and a free safe. There is a coffee machine and a free bottle of water. 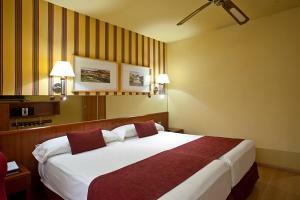 This room includes 1 large double bed. Children under 12 years stay for free in existing beds. 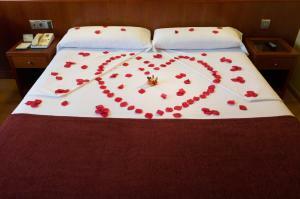 Rate: € 62.10 ... € 287.33; select dates below to get current rates. This bright, soundproof room offers a 43-inch plasma TV with digital, cable and 3 international channels, a CD player and a free safe. There is a coffee machine and a minibar. including a free bottle of water. 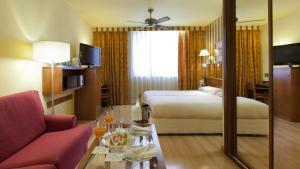 This room has 2 single beds and 1 large sofa bed. 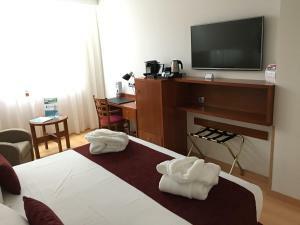 This bright, soundproofed room offers a 43-inch plasma TV with digital, cable and 3 international channels, a CD player and a free safe. There is a coffee machine and a free bottle of water. 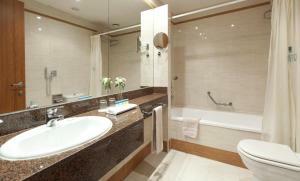 This room includes a bed measuring 180 cm x 200 cm. This bright, soundproof room offers a 43-inch plasma TV with digital, cable and 3 international channels, a CD player and a free safe. There is a coffee machine and a minibar, including a free bottle of water. 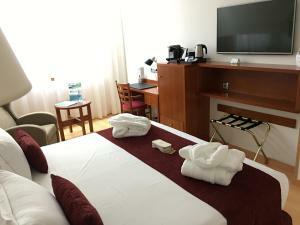 This room has 2 single beds and 1 large sofa bed. This bright, soundproof room offers a 43-inch plasma TV with digital, cable and 3 international channels, a CD player and a free safe. There is a coffee machine and a minibar, including a free bottle of water. 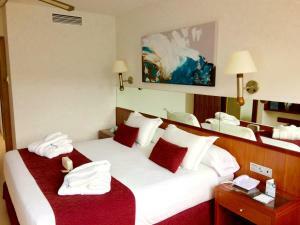 This modern, air-conditioned room offers free WiFi, a flat-screen TV, a Nespresso coffee machine and a free bottle of water. 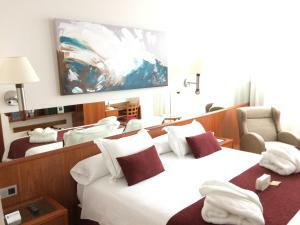 It comes with 1 large double bed and a private bathroom with a shower, a hairdryer and free toiletries. Free water and fresh fruit are provided upon arrival.